Presentation by Martin Borrett from IBM. How the diverse and rapidly changing set of both structured and unstructured data can play a key role in identifying the increasingly sophisticated threats that organisations face. Move from reactive to a more proactive stance by actively searching for indicators that something could be amiss. University computers were used as proxies to hide the traffic source. Unstructured data such as free text user inputs, feeds from social media, general news sources etc. 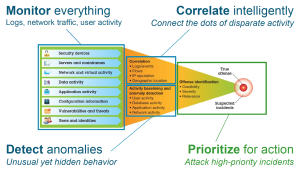 Attackers continuously adapting to leave minimal trace and hide their behaviour in the noise of ‘normal’ activity. Due to the potential huge volumes of data, these systems must be very scalable. Traditionally SIEM type solutions have focussed on real time alerting that is Proactive, Formalised (standard queries / searches) and fast. 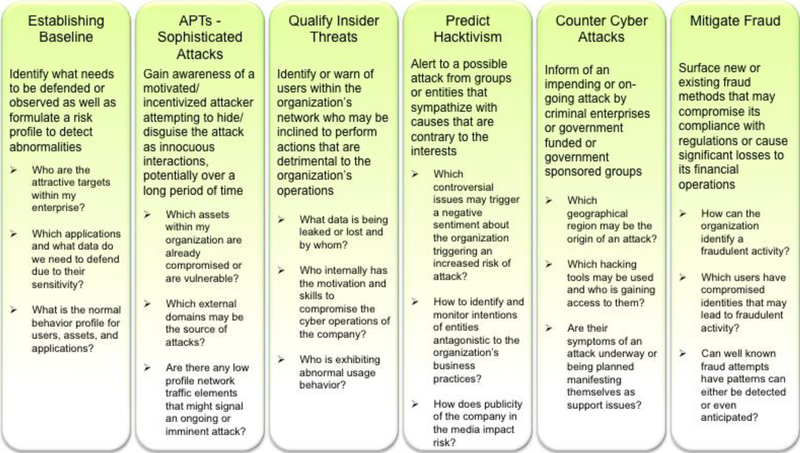 This is great, but can it be in depth enough, and is real time attesting always required when searching for long term PAT style attacks? Move towards adding more Asymmetric / Forensic type capabilities that are more Predictive, Inquisitive, and in depth. These require considerably more skill and in depth understanding to create, and the searches will be much more ‘custom’, but this is the best (only?) way to find the subtle and clever attackers, especially if doing so in a timely manner is required (it is!). This has a heavy focus on structured data and performing real time correlation to get to a potential incident to investigate. This will potentially also take outputs from the traditional SIEM tool as one of the feeds and enrich them with other data. 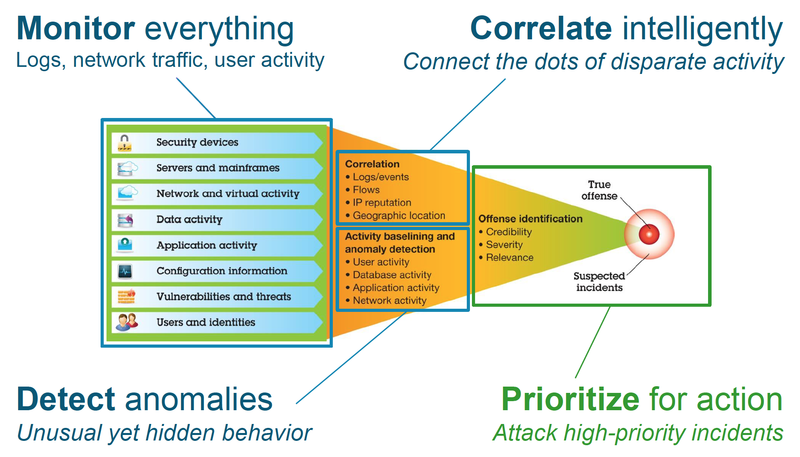 An example may be where something that may be an issue, but where there isn’t enough detail to act on in the SIEM, this could be added to the ‘big data’ solution and correlated with a much wider data set to find out if it could be a real issue. 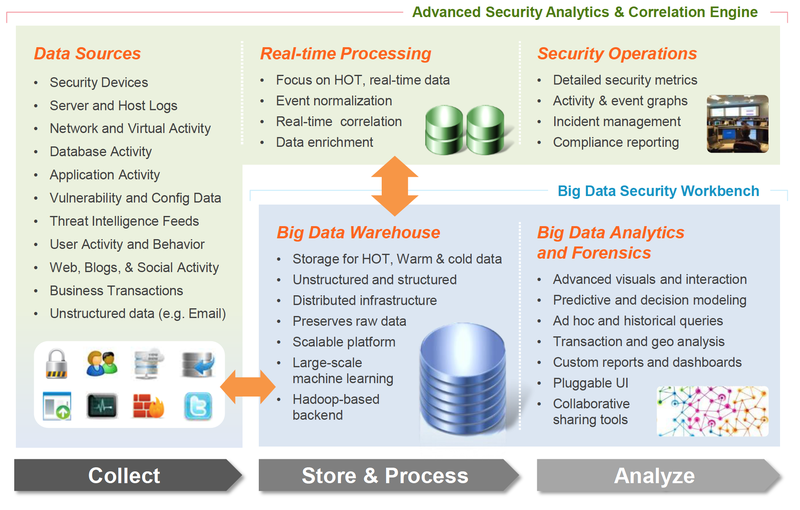 The top part of the above diagram (Real-time Processing and Security Operations) is relatively similar to existing SIEM solutions, focusing on real time analysis and processing, just with a potentially larger data set. 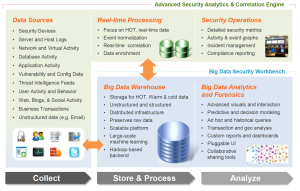 The bottom right (Big Data Warehouse, Big Data Analytics and Forensics) focuses on the much more advanced, not real time analysis and forensic type investigations. You must be able to derive security relevant semantics from elements of the raw data. There must be the capability to distil the huge volumes of data down to useful and real insights. Human knowledge must ba able to be added to the solution to improve processing and automate more tasks. Another key area these tools can help with is in creating visualisations of attacks and suspicious behaviour. As they will have data from all the systems in the enterprise, along with various external feeds, they can provide visual representations of the behaviour as it moves into that through the organisation. For me the key consideration is to have one ‘Big Data’ solution that collects all the relevant data for your organisation from traditional log files, through corporate emails to social media and threat feeds. This also needs to move out of the security realm as people are talking ‘Big Data’ but in reality still have the traditional SIEM mindset. Running a tool like this for security, while the ops guys are also running logging and monitoring tools is massively wasteful in terms of cost, storage, management overhead, and also likely results in situations where some useful information only ends up in one tool, not both. We need to move forwards to the mindset of an Enterprise ‘Big Data’ solution for sorting and correlating All the business data – logs, emails, external sources, user and system behaviours etc.etc. This solution then has different dashboards, reporting solutions, search headers or whatever for the different use cases such as ops, business users (system performance, investigating transaction issues etc.) and ops. Obviously areas like separation of duties and access controls must be considered here, but I believe this type of solution is the only way for this to really succeed and provide the best value for the business. I have recently read a few interesting and useful papers relating to some of my previous posts that may also be of interest to some of the readers of this blog. Feel free to let me know your thoughts! Incidentally the first three papers below all originate from IBM, this is purely coincidental and I have no affiliation with IBM. All three of the above papers are definitely worth reading if your company is considering adopting cloud services, or if you want some ideas and terminology to get the conversation and planning started. Happy reading, I’ll be back soon with an update on my years progress so far. Homomorphic Encryption – Saviour of the cloud? Ready for prime time? Homomorphic encryption has been around for a while (in fact it has been debated for around 30 years), but most systems that are Homomorphic are only partially homomorphic thus limiting their use in enabling real world distributed, including cloud based, systems. I’ll start by briefly describing what the term homomorphic means when used to describe a cryptosystem. If a mathematical operation can be performed on the encrypted data to produce an encrypted output that when decrypted gives the same result as if the operation had been performed on the plaintext. I’m sure you can see how this removes one of the main barriers to the adoption of cloud computing. If an efficient, proven and thoroughly tested homomorphic encryption system would potentially revolutionise the view of cloud computing security. Currently it is easy to send data to and from the cloud in a secure encrypted manner, however if any computation is to be carried out in this data it has to be unencrypted at some point. When the data is unencrypted in the cloud the risk that employees of the cloud provider, and potentially other customers, could access the data becomes a real concern. It is this risk that is one of the key road blocks to companies moving their data to the cloud. Additionally some legal / regulatory rules prevent certain unencrypted data types, such as personally identifiable information (PII), leaving countries / regions such as the EU. A system that enabled data to remain encrypted would potentially get around these regulatory issues and allow data to be housed in the cloud (many cloud providers have data centres located in various global locations and can’t guarantee where data will reside. In fact this is one of the benefits of the cloud – the high level of redundancy and resilience provided by multiple data centres in geographically diverse locations). Some existing algorithms are partially homomorphic, this means that they are homomorphic with regards to one or maybe a couple of operations. For example the RSA algorithm is homomorphic with regards to multiplication. Currently fully homomorphic systems are too new and not yet practical enough to be implemented for production systems. For any cryptographic algorithm to be recommended it requires considerably more time to be peer reviewed and tested by security and encryption researchers to allow a reasonable level of assurance that there are not attacks that could be used to unencrypt the data. In terms of practicality currently proposed homomorphic encryption systems, the complexity of the system grows enormously as the number of actions you need to perform on the encrypted data increases. This leads to a massive increase in the computational power required to run the system, this is a non-trivial increase that will not be solved by Moore’s law anytime in the near future. So homomorphic encryption has now been proven to be possible which is a huge step forwards, and the work done by people like Craig Gentry and the guys at IBM and MIT must be hugely applauded. This provides an overview of a proposed partially homomorphic implementation along with thoughts on how it could be made fully homomorphic and how the efficiency could be improved. The page also contains some useful links to cloud and lattice based cryptography. However the reality is that we need several more years for a broader range of cryptographers to examine the cryptosystem to be assured it is secure, and for further work to go into making the system much more efficient. These are definitely interesting times, and over the next few years I would hope to see homomorphic cryptosystems removing some of today’s key barriers to the adoption of cloud computing services! 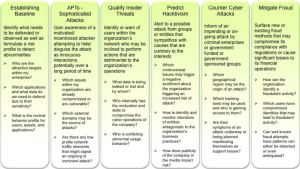 Author Kevin FielderPosted on October 30, 2011 Categories Cloud and Virtualisation, SecurityTags Cloud, cloud security, encryption, homomorphic, homomorphic encryption, IBM, Microsoft, SecurityLeave a comment on Homomorphic Encryption – Saviour of the cloud? Ready for prime time?